I CANT SLOW MY FIRE DOWN, IT WON’T BURN OVERNIGHT ANYMORE. WHAT’S GOING ON? Start with seals. Seals harden or fray over time. Hardened seals can be as bad as missing or frayed seals. We’ve seen good quality seals last up to 25 years, but they don’t last forever. If you’re still having trouble after replacing seals, contact us via our Contact Us page,including a brief bullet point description of what your stove is or isn’t doing. HOW LONG DOES A STOVE REBUILD TAKE? Everything we do is manual, hands on and specialised. We build the components at times. We are not a computerised manufacturing plant. If you have a deadline- let us know. If we can help, we will. If you are wanting a stove “just bodged up”, maybe we are not the business you are looking for. We service all of Australia. Our business hours are 8am – 4pm Monday to Thursday WST. We also do noisy work at times or are talking with another client and sometimes we just happen to miss the phone. If you leave a message with your phone number and a brief message of how we can help you, we will get back to you promptly. Otherwise try emailing us, chances are we’ll ask you to send us a pic of your stove and a pic of the part you’re chasing anyway. Once we’ve received your phone message or email, we will reply promptly. DO YOU FREIGHT RENOVATED STOVES TO THE EAST COAST? Yes we do and the freight is not as expensive as you may think. However, we rarely bring a stove into WA from the east, repair, and freight back. Please contact us via our Contact Us page with your postcode and type of stove you’re interested in and we can send back a freight estimate. When your freight is booked, you will be emailed an estimated date of arrival, and tracking instructions on how you may track your shipment. Typically, once payment is received, we ship the same or next day. We insure all parts sent. If in the rare event your parts are damaged, you must notify us in writing within 24 hrs of delivery in order for us to claim on the insurance. We will also require pics of the damaged items. MY METTERS STOVE WILL HAVE INTERCHANGEABLE PARTS WITH EVERY OTHER STOVE METTERS BUILT, WONT IT? No. Metters, like any large company, built many different models of stoves, in fact many thousands of different components from sinks, to windmills, and almost everything in between. An oven from a Metters 2, won’t fit a Metters Warren, just as an oven from a Metters 6 won’t fit a Metters 1. They didn’t have computerised standards, and the business manufactured for many decades. Imagine expecting a steering wheel off a 2005 model Landcruiser to fit a 1975 model Landcruiser. Actually, back in the era prior to the 1940s, individual Metters foundrys had different patterns and sizes for similar looking components on the exact same models. They simply didn’t share technical specs. Hence, a Metters built in Sydney, of the same model designation, will be different from one built in Perth, even though they are the same model. Even the same models built in the same foundry, but 20 yrs apart, have different size flu boxes etc. If you are unsure of your model of stove when ordering parts, please send a photo with your enquiry, we will be happy to identify it for you. WHY DOES EVERYONE LOVE METTERS STOVES? Please view the following link – this might help a little! HOW MUCH HOTWATER CAN I EXPECT TO PRODUCE FROM A NORMAL RANGE COOKER? Every cooker will have a different capacity, and this can also vary according to the type of hydronics system it is attached to. Please let us know what your hot water volumes are likely to be, and we can advise you accordingly. 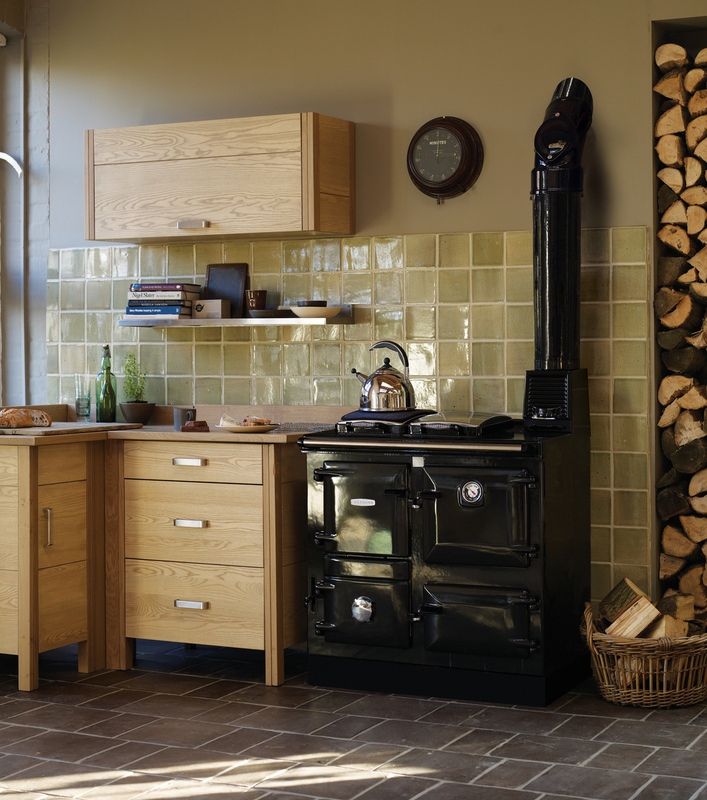 WHAT IS THE LEAD TIME OF A BRAND NEW COOKER? Each manufacturer is different, and freight times (if applicable) vary. Pls be sure to let us know your time frame and we will do our very best to work with you. CAN I JUST CALL IN TO YOUR WORKSHOP AND TAKE A LOOK? WHY DOES RAYBURN HAVE SUCH A CULT FOLLOWING? Simply stated: Because they’re good! In fact, most Rayburn owners will say that’s an understatement. Like any really good engineering, its relatively simple, doesn’t have unnecessary complications to go wrong, and have been built in the same place, sometimes by the second and third generations of the same family, since day dot back in the 40 s. The hinges are simple, no bolts to break or loosen, there are no catalytic converters to clog up, and they are simple and easy to clean. We have clients whose grandma bought their Rayburn, mum used it, and now they are ready to rebuild it, for another generation to enjoy the benefits. And the food simply has to be tasted to be believed! WHY ARE THERE SO MANY EVERHOT 204 STOVES STILL OUT THERE GOING STRONG? We call the 204 s the “Aussie Worker of Stoves”. They were Australian made in Victoria, with solid materials, and were designed with Aussie conditions in mind. Big fireboxes, big ovens, and the cast iron was built to handle Aussie hardwood (not Scandinavian softwood). They also have the advantage of being able to be repaired (mostly) onsite, as they have many interchangeable parts that can simply be changed out (normally after decades of hard work). CAN I JUST BUY INDIVIDUAL FIREBRICKS INSTEAD OF A WHOLE BRICK KIT? No. Firebricks are consumable components designed to sacrificially protect the cast components of a slow combustion cooker. They must therefore be replaced periodically. We supply fire bricks for various stoves in a kit with detailed instructions and a diagram. Installation is not difficult, normally the job can be successfully undertaken by any handyman.